Situated on one of the world's largest natural harbors, New York City consists of five boroughs, each of which is a separate county of New York State. The five boroughs – Manhattan, Brooklyn, Queens, The Bronx, and Staten Island – were consolidated into a single city. Each borough has a different historical development and characteristics. For those who want to buy real estate in New York City, it is necessary to know the characteristics of these five boroughs and have the basic knowledge about them. Manhattan is the most densely populated borough of New York City, its economic and administrative center, and its historical birthplace. Locally it is often referred to simply as The City. Manhattan is the most densely populated U.S. county. The borough consists mostly of Manhattan Island, bounded by the Hudson, East, and Harlem rivers; several small adjacent islands; and Marble Hill, a small neighborhood now on the U.S. mainland, physically connected to the Bronx and separated from the rest of Manhattan by the Harlem River. Manhattan is often described as the cultural, financial, media, and entertainment capital of the world, and the borough hosts the United Nations Headquarters. Anchored by Wall Street in the Financial District of Lower Manhattan, New York City has been called both the most economically powerful city and the leading financial center of the world. Manhattan's midtown is home to many Fortune 500 company headquarters, and gathers many of the world's wealthiest high net worth individuals. Manhattan has many small neighborhoods, the map below shows different neighborhoods. Manhattan can be divided into 5 major areas - Downtown, Midtown, Upper East Side, Upper West Side, and Harlem. Downtown Manhattan, is the southernmost part of Manhattan, is defined most commonly as the area delineated on the north by 14th Street, on the west by the Hudson River, on the east by the East River, and on the south by New York Harbor. In the next 5 years, there will be around 5,000 new condo units coming to the market. This market has the most amount of sales and rental activities, and is usually the first choice for many young professionals and students. The famous NYU, Soho, Wall Street... are all here. The southernmost part of downtown is Financial District and Battery Park City, which has seen tremendous growth over the past several years. The Market Line in Lower East Side will be one of the biggest shopping centers in the world by 2018. It is close to the East Village on the north, and Soho and Chinatown on the west. Many new developments are in the neighborhood, such as One Manhattan Square, 242 Broome, and 196 Orchard. Midtown Manhattan, or Midtown, represents the central lengthwise portion of the borough and island of Manhattan in New York City. Midtown is home to some of the city's most iconic buildings, including the Empire State Building, the Chrysler Building, and the headquarters of the United Nations, and it contains world-renowned commercial zones such as Rockefeller Center, Broadway, and Times Square. Geographically, the northern border of Midtown Manhattan is commonly defined to be 59th Street on Manhattan Island, and although its southern border is less clear, it is variously taken to be 14th Street. Midtown spans the entire island of Manhattan along an east-west axis, being bounded by the East River on its east and the Hudson River to its west. Midtown is home to the most expensive real estate ever sold in New York, such as 432 Park, One57, etc. The Upper East Side or UES is a neighborhood in the borough of Manhattan in New York City, between Central Park/Fifth Avenue, 59th Street, the East River, and 96th Street. The area incorporates several smaller neighborhoods, including Lenox Hill, Carnegie Hill, and Yorkville. Once known as the Silk Stocking District, it is now one of the most affluent neighborhoods in New York City. It is often referred to as the Old Money neighborhood. In the next 5 years, there will be 300 new condo units coming to this market. Upper East Side has many great public and private schools, and that's why many families with children choose to live here. It is also a very cultured neighborhood. The area is host to some of the most famous museums in the world. The string of museums along Fifth Avenue fronting Central Park has been dubbed "Museum Mile", running between 82nd and 105th Streets. The Upper West Side, sometimes abbreviated UWS, is a neighborhood in New York City that lies between Central Park and the Hudson River and between West 59th Street and West 110th Street. The Upper West Side is sometimes also considered by the real estate industry to include the neighborhood of Morningside Heights. Like the Upper East Side, the Upper West Side is an affluent, primarily residential area with many of its residents working in commercial areas of Midtown and Lower Manhattan. It has the reputation of being New York City's cultural and intellectual hub, with Columbia University and Barnard College located at the north end of the neighborhood, and artistic workers, with Lincoln Center located at the south end. The Upper West Side is considered to be among New York City's wealthiest neighborhoods. The area has many great schools, and many families choose to live in UWS. Harlem is a large neighborhood in the northern section of the New York City. Harlem has been invested in heavily in recently years, and has a lot of potential for growth. 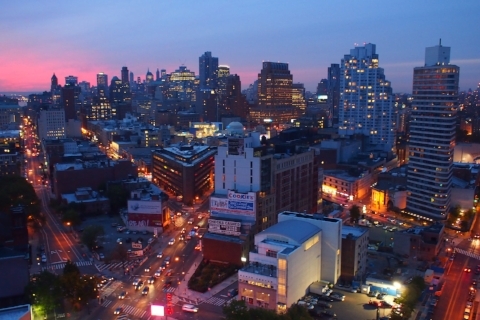 Harlem's transformation started in the 1990s. Now Harlem is morphing into a neighborhood of Manhattan with distinctive features and tremendous potential. If you take a walk in Harlem, you will find that law and order have been significantly improved. The 125th Street was named as one of the top ten US streets, many tourists take a tour bus to Harlem to enjoy the food and jazz here. Harlem is divided into East Harlem, Mid Harlem, and West Harlem. Harlem's real estate prices above 110th Street, is 25% cheaper than the UWS. Because the prices here are still low, the return on investment can be high. East Harlem is from 96th Street to 142th Street, from East River to Fifth Avenue. Central Harlem is from Central Park to 155th Street, from Fifth Avenue to Amsterdam Avenue. West Harlem is from 110th Street to 155th Street, from Amsterdam Avenue to the Hudson River. Queens is the easternmost and largest in area of the five boroughs of New York City. It is geographically adjacent to the borough of Brooklyn at the southwestern end of Long Island, and to Nassau County farther east on Long Island; in addition, Queens shares water borders with the boroughs of Manhattan and the Bronx. Long Island City, which is in Queens and just across East River from Manhattan is now the most active market in New York, with a large amount of new developments pouring into the market, including both condo and rental buildings. Long Island City (LIC) is the westernmost residential and commercial neighborhood of the New York City borough of Queens. LIC is noted for its rapid and ongoing residential growth and gentrification, its waterfront parks, and its thriving arts community. LIC has among the highest concentration of art galleries, art institutions, and studio space of any neighborhood in New York City. It is bordered by Astoria to the north; the East River to the west; Hazen Street, 49th Street, and New Calvary Cemetery in Sunnyside to the east; and Newtown Creek—which separates Queens from Greenpoint, Brooklyn—to the south. Long Island City was once home to many factories and bakeries, some of which are finding new uses. In Recent year, government has encouraged real estate developers to transform this area, many high-rise housing are being built and they have been given 421-A tax abatement. This area is much like DUMBO 10 years ago, many old and shabby factory and storage space are now converted to modern condo buildings. DUMBO is now the 4th most expensive neighborhood in New York City, and even more expensive than some areas in Manhattan. Long Island City is very likely to be the next DUMBO. This is a highly promising neighborhood. Most new comers will be surprised to find out that Brooklyn is actually the most populous borough of New York City, with a census-estimated 2,629,150 residents in 2016. It borders the borough of Queens at the southwestern end in the same Long Island, and has several bridge connections to the nearby boroughs of Staten Island and Manhattan. Staten Island is one of the five boroughs of New York City in the U.S. state of New York. Located in the southwest portion of the city, Staten Island is the southernmost part of both the city and state of New York, with Conference House Park located at the southern tip of the island. 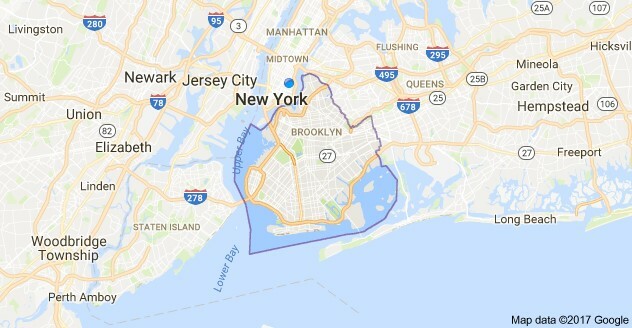 The borough is separated from New Jersey by the Arthur Kill and the Kill Van Kull, and from the rest of New York by New York Bay. With a 2016 Census-estimated population of 476,015, Staten Island is the least populated of the boroughs but is the third-largest in area at 58 sq mi (150 km2). The Bronx is the northernmost of the five boroughs of New York City, within the U.S. state of New York. It is geographically south of Westchester County; north and east of the island and borough of Manhattan to the south and west across the Harlem River; and north of the borough of Queens, across the East River. Of the five boroughs, the Bronx is the only one that has the majority of its area on the U.S. mainland. The real estate prices here are 50% cheaper than in the Queens and Brooklyn. It is an area that has a lot of potential to develop. Williamsburg is a neighborhood in the New York City borough of Brooklyn, bordering Greenpoint to the north; Bedford–Stuyvesant to the south; Bushwick, East Williamsburg, and Ridgewood, Queens to the east; and Fort Greene and the East River to the west. Since the late 1990s, Williamsburg has undergone gentrification characterized by hipster culture, a contemporary art scene, and vibrant nightlife. During the early 2000s, the neighborhood became a center for indie rock and electroclash, and has been nicknamed "Little Berlin". Downtown Brooklyn is the third largest central business district in New York City, United States (following Midtown Manhattan and Lower Manhattan), and is located in the northwestern section of the borough of Brooklyn. The neighborhood is known for its office and residential buildings. Since the rezoning of Downtown Brooklyn in 2004, the area has been undergoing a transformation, with $9 billion of private investment and $300 million in public improvements underway. The area is a growing hub for education; in 2017, New York University announced that it would invest over $500 million to renovate and expand the NYU Tandon School of Engineering and its surrounding Downtown Brooklyn-based campus.